I'm seriously thinking about chocolates. Come with me; we'll do some research together. Of course, we may look like friends rambling through a mall, sampling these delights, and calling it 'shopping.' However, we'll learn many things as we go. It used to be that admitting you indulged in chocolates was like admitting to a secret sin. Some will admit that they like them, but they show great self-discipline in denying themselves this treat. Maybe that's why - when you get a gift of these treats from someone, you feel so special! You feel they have discerned your secret pleasure and this person cares enough to contriibute to your delights. You can't help but like - even love them back! On the other hand, in recent times we've been reading and hearing, even on the news, that research is showing dark chocolates to be healthy for us. That seems to be giving license to indulge to many who were afraid to eat chocolates until now. We are not all taking time to find out which kind is good for us, or how much. We taste--, and suddenly we're on a hunt for them, and trying to make up for lost time! Now that may be rather facetious. I'm sorry. There are some great chocolatiers out there that have been in the business for decades. They have a good name and a reputation for excellence. The new producers have to work hard to stand out as equal or better. Or even just unique and cute. Chocolates have a short shelf-life. They are only fresh for about ten days. (All the more reason to share, if you have some, eh?) However, there are some that are said to last all of two to four weeks. By the way, here's a hot tip: if you visit a chocolates website and see they have a newsletter by email, subscribe. Sometimes they offer special deals only to readers of those email newsletters. How do they do that? Well, in their ezine/newsletter, they may give you a coupon code to insert the next time you order from their site. Sometimes only between certain dates. Using that coupon code could give you 40-60% off, while everyone else has to pay full-price! For example, someone got chocolates for $23/lb., when usually they would be nearly that much per ounce! When it comes to flavours and types, I can't give you a scale for grading them. So much is up to personal preferences. Ingredients, and how the chocolate confections are made do affect the taste, but in the end, only you know whether you like it and are satisfied, or impressed. Candinas - Quite a fussy chocolate company. They pride themselves on no preservatives, so their chocolates must be eaten right away (or within 10 days), and they only sell them from their base location so that they will not be stored in a warehouse. Nor do they ship outside of the continental USA. On top of that, they make about 15 varieties, but cannot now say what kinds they will be making on the day you order, so unless you place a specific custom order for say, a wedding, you have no guarantee which flavours you will get in your order. Although - you may be lucky and get what you ask for that particular day. At any rate, Consumer Reports has tried them, and says they have really smooth dark and milk chocolates with exceptional hazelnut, caramel, and liqueur-flavoured centers, with hints of fresh cream and butter. A 16 ounce box with 36 pieces costs $49, plus $35 for shipping. Comes to $3.06/ounce for cost. Jacques Torres - is known as Mr. Chocolate in New York city. He has several locations there for his special brand. Here you can get a Choice of 50 pieces in a 16 oz. box for $66 ($4.13/oz) and shipping will add $18 to your bill. You will get various small, ultrasmooth milk, dark, and white chocolates with fillings of tropical fruit, key lime, carmel, coffee, nut butter, chili pepper, and others, plus hints of fresh cream. John & Kira's - this couple partners with local (in Pennsylvania) growers and community gardening groups for some of the ingredients in their chocolates, as the videos on their site inform us. Their designs include some cute and colourful things like ladybugs, bees, oranges, mints, etc. I enjoyed their videos. You can order 56 pieces in a 21 oz box for $79 ($3.76/oz) and shipping costs will add $22. Fran's Chcolates - these are the work of a one-woman chocolatier, Fran Bigelow, who has over 20 years experience. She makes ultrasmooth milk and dark pieces of chocolate, mostly with chocolate-based fillings, with hazelnut, coffee, caramel flavours. Truffle-lovers are fond of her creations. You can order a 36 piece collection of truffles in 12 oz. container for $50 (that's $4.17/oz), plus $25 for shipping. Norman Love - This internationally acclaimed pastry chef, Norman Love, set up a number of fine pastry kitchens in famous hotels and restaurants, and decided in 2001 to start his own confectionary company. Norman keeps designing new lines, and he offers evening classes in various things like chocolates, candies (in moulds), cookies, cupcakes, truffles and elegant home desserts. (Oh, that looks like fun!) These classes are only offered in their Fort Myers, Florida, Salon. They have a number of Salons in Florida, and almost as many in other States of the US. They do sell them online from their website too, however - they only ship to a USA street address. No postal box, and alas, not internationally. The CR tests showed the Norman Love chocolates have unusual fillings like key lime, passion fruit, or peanut butter and jelly! They have some white chocolates, truffles, creams, nut bits, and butters, and fruit purees too. (Sigh!) A Signature gift box with 25 pieces, weighing 12 ounces, costs you $49 plus $34 for shipping, and that's $4.08/ounce. Woodhouse Chocolates - a family-run business that comes highly recommended by Consumer Reports tests. Here a box of 48 pieces of chocolates, weighing 16 oz. will cost $90. That works out to $5.61 per ounce. The shipping will be $12 extra. Their products are described as, "Ultrasmooth milk, dark and white chocolate encsaes many textures and flavors (cinnamon toast, buttery pecan pie and fresh mint) that explode from the first bite." Christopher Elbow - his chocolates are very artistic-looking and have bold flavours such as chili-mangos and balsamic vinegar. So, as Consumer Reports says, they are not for the faint-of-heart, but they do recommend them as well. In this case you could get 21 pieces in an 8 oz. box, that would cost you $40 (that's $5/ounce), and $24 for shipping. La Maison du Chocolat - Ah...! If you want to see French chocolates from Paris so rich and expensive that prices are not shown, go here. You have to find a boutique in Paris, London, New York, Hong Kong or Tokoyo to even get a chance to sniff - or purchase these exclusive treats. However, Consumer Reports got some and did their tests. They declare them to be ultrasmooth, mostly dark chocolates, with chocolate-based fillings, such as hazelnut, fruit, cinnamon, and liquuer flavours. They have a hint of fresh cream in them too. Actually, CR does have some numbers for comparison. 42 pieces in a box weighing 11.3 ounces, costs $77, plus $28 for shipping. That works out to $6.81/ounce. (I think I'll pass, thank you). my personally Discovered Chocolates sites! Take a peek. You can sample a 12 piece confection collection, weighing 4.5 ounces for $26, or a set of classic bars for $28, with shipping coming to $34. That works out to $5.78/ounce. You will want to check their shipping page, because they have strict rules about when they ship out orders (not on Friday because of the weekend delay), and alas, not internationally either. 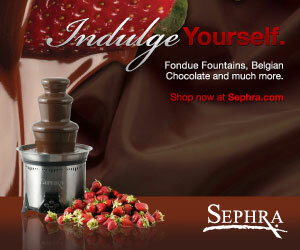 While researching the above chocolate sites, I discovered some others that appeal to me in special ways. I've decided that I should share my discovered chocolate sites too, but on another page. I'm sure there are still more, but ... we'll get to them some other day. I can't wait for you to see the video for See's Candies! Right at the top of Discovered Chocolates. Sign up for my free email course that explains research and online shopping in greater detail.